� Fitco Consulting Pte Ltd.
� People & Projects e.K. We clearly separate the real headhunters from the classic recruiters/ Recruiting Consultancies. The list is always updated to the best of our knowledge. Please understand that we only place companies here online that meet our high requirements. � real Headhunting, Direct Search does not mean that you call a candidate from a social media database, directly! You will find this service at the best price in India. � real headhunting does not mean that the unqualified recruiters, who have not yet been operationally engaged in a management function, will present you candidates. 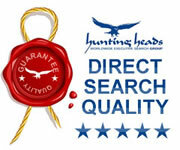 � real head hunting is also no search for unemployed in the free market or job agency. � According to our philosophy, real headhunting does NOT mean that you will get 50 candidates who your secretary can also choose from the web. Why do so many headhunters fail and switch to the HR consultant? - They are too young and have no experience of their own - The best specialist in its field, with Professor or doctor title brings no candidate, if he cannot motivate the candidates to change! - As headhunters, you need to be able to analyze and assess people. You need to know how the candidate behaves in the most stressful situations. You need to know, it is a leader for a company or a team member. - Often, there is a lack of global experience, the network alone from Germany is not sufficient for a long time to be competitive. - If I can not sell my service as headhunter, I can also do not recruit a candidate or inspire the contractor. This makes it easier for him, to change as HR Consultant, where one is almost always e-mailed and waiting for one of the internet candidates, one of which appears to be appropriate and available at the moment. Why do so many headhunters call themselves, although they have nothing to do with executive search? The recruiters have your reputation made all honor. They sent hundreds of CVs to potential customers, used call centers and sold records of applicants who had applied to a job platform. These were not verified or even selected. The market has recognized that he gets the preferred candidate from the Headhunter. The reputation of the HR consultants was severely damaged, so they quickly changed to the new company name and "headhunter", since they always had a high reputation on the market without prejudice. Meanwhile, the market is very opaque and watered down. Today offer the Companies, Recruiting and supposedly executive search service. We try by disclosing the real headhunters to get more insight. This list has been set to the best of my knowledge and belief online. It is updated monthly..